The only thing left of the Adams is the facade. Everything else was demolished behind it. It's just an empty lot with a single solitary brick wall held up by support beams. Such a sad ending to a beautiful structure. 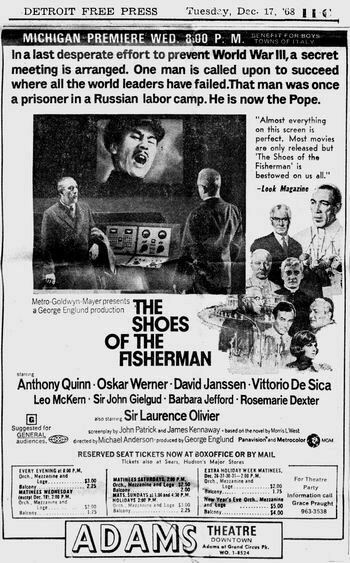 I''m 36 now, My father was the Union Projectionist here for many years, i''d say from 1977 til it closed. I went with him here to watch many many scary movies. I sat alone in the thrid balcony for many years, until they tri plexed it. For a kid growing up in west bloomfield, this was a complete change of surroundings. Exploring it , the theater had 115 steps to climb from the lobby entrance to the projection booth at the top, i use to count and climb several times. playing with the standees and posters in the basement, to the fire escape which at any point seemed like i woudl hurtle down to the street at anytime like a scene out of a movie. It was an amazing experience. I loved going with my dad on weekends, there was a chinese for many many years in the building attached to the front, next to the entrance. called lims, great food. WOW watching my dad in the booth as pictured, use all the massive projection equipment was impressive. Seeing all the scarey movies were fun too. I can remember Fri the 13th, to eveil dead to a massive sold out crowed purple rain, over and over. when i was 13 (1983) i got caught playing 3 card molly out in the alley, by the ushers. I never felt scared there, it waslike a home to me, and looking at thepics of all the electric blue paint that was all over the orriginal extraordinary woodwork and plaster work of flowers and scalloped trim, brought tears to my eyes. thank you for the memories, the pics were great to see. Thank you so much!. Ilitch & Co took off those ugly tiles over the entrance to the Fine Arts today, exposing the original stone. They sandblasted it all, making it appear brand new and original. Only thing is, the keystone originally protruded out as kind of a scroll and it was cut off when the panels were placed, so the keystone looked rough and odd. Opened in 1917 inside the former Fine Arts Building, the Adams was designed, like so many other Detroit theaters, by C. Howard Crane for the Kunsky circuit. It was a vaudeville house for a short time, but by 1918, was screening silent films. Kunsky had Vitaphone installed in 1927 and the Adams silent days were over. By the 30s, it was run by the Chicago-based Balaban & Katz chain, and received a remodeling in 1935. The Adams was one of the earliest Detroit houses equipped for CinemaScope -- installed for the 1953 feature The Knights of the Round Table. Five years later, MGM Camera65 was installed. 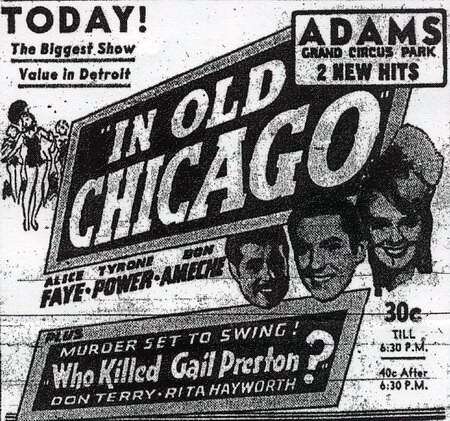 Balaban & Katz sold the Adams to Community Theatres in 1963, and it received a modernization at that time. 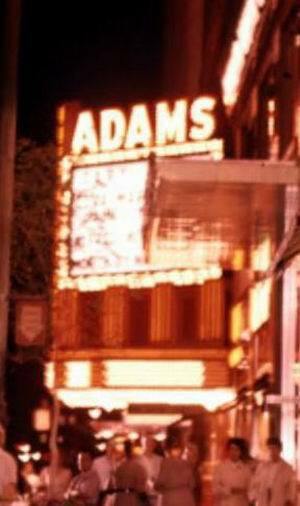 In the late 60s and early 70s, the Adams started to screen exploitation and adult films. In 1988, hoping to bring new life to the aging theater, it was triplexed. However, outside forces would doom that strategy. 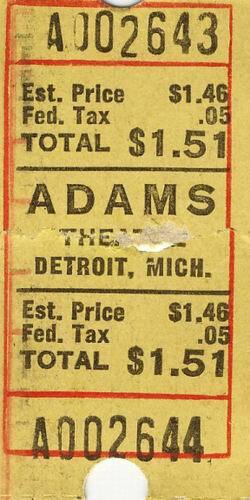 In that same year, tragedy struck twice at the Adams. 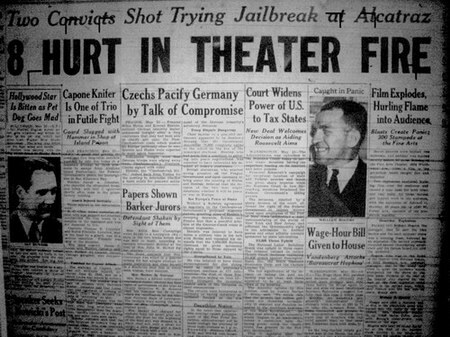 First, a man was murdered in one of the auditoriums, and later that year, two teenagers were wounded during a shootout before a movie in front of the theater. 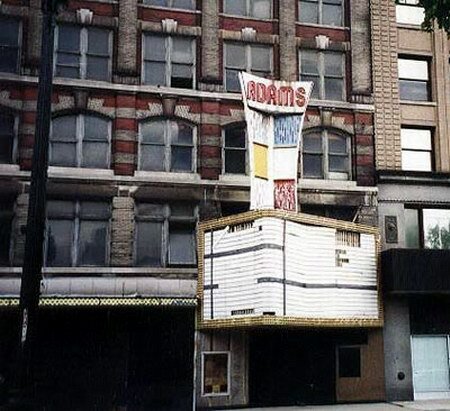 The Adams was shuttered in November of 1988, with Halloween 4 and Messenger of Death being the last films on its marquee. 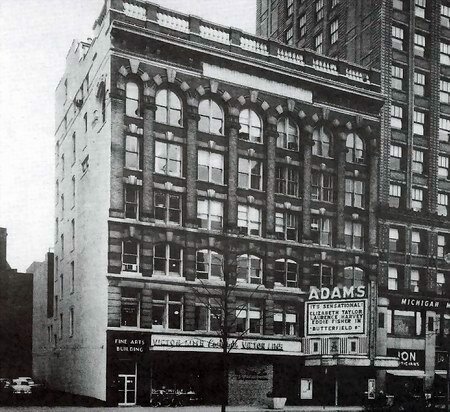 In 1999, the dangerously decrepit marquee was removed, leaving the vacant Fine Arts Building looking like any number of aging early 20th Century office buildings on Grand Circus Park, Detroits one-time entertainment district. Cinema Treasures Link. April 1959 Issue - Norman Myers at the Adams is feeling more optomistic now the weather is getting warmer, and is planning to show a pre-release of The World, the Flesh and the Devil the first of May, while Helen Bower reports Harry Belafonte will be there soon to help exploit his first Har-Bel Productions film, The Black Orchid, which opened at the Trans-Lux Krim art theatre instead of a downtown first-run house, was held over because of good box office.